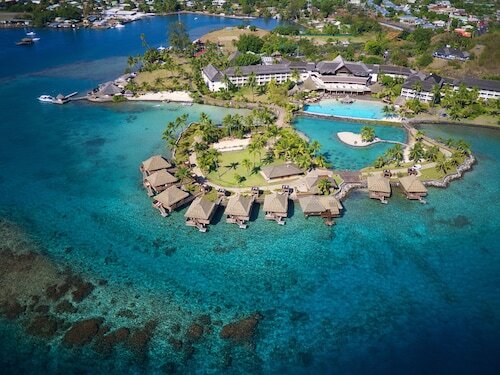 Located on the waterfront, this family-friendly resort is within 6 mi (10 km) of Place Jacques Chirac, Papeete Market, and Parc Bougainville. 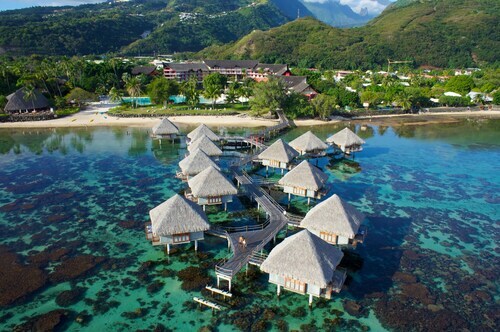 Black Pearl Museum and Museum of Tahiti are also within 6 mi (10 km). 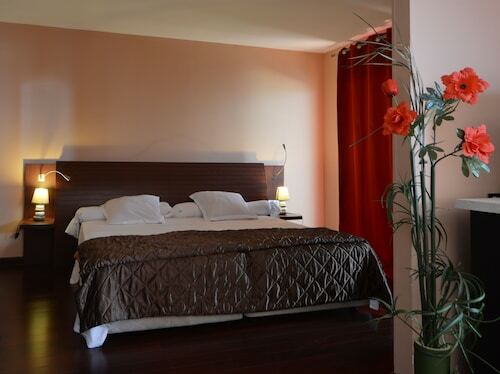 Situated near the airport, this hotel is within 6 mi (10 km) of Place Jacques Chirac, Papeete Market, and Black Pearl Museum. Cathedrale de L'lmmaculee Conception and Parc Bougainville are also within 6 mi (10 km). 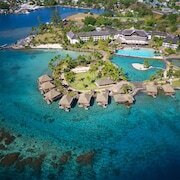 Located on the west coast of Tahiti, in Punaauia, this resort is situated on the edge of a lagoon. 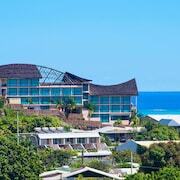 The property is just two minutes from the Taapuna surf spot, 5 minutes from Tahiti airport, 10 minutes from the ferry terminal for Moorea, 2 minutes from a mall and a marina, and 10 minutes from Papeete's center. 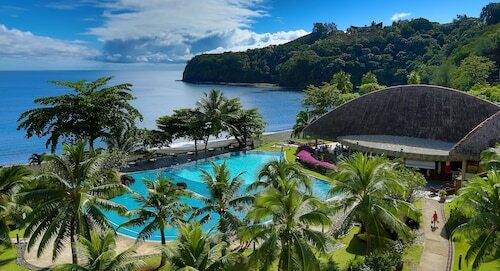 Nestled on the beach, this Arue hotel is within 3 mi (5 km) of James Norman Hall Home, Black Sand Beach, and Tomb of King Pomare V. Pointe Venus Lighthouse is 2.6 mi (4.2 km) away. 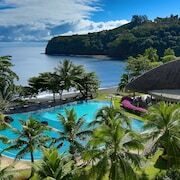 Nestled on the beach, this Punaauia resort is within 3 mi (5 km) of Museum of Tahiti, Vai'ava Beach, and Mahana Park. Punaauia Beach and Marae Arahurahu Temple are also within 6 mi (10 km). 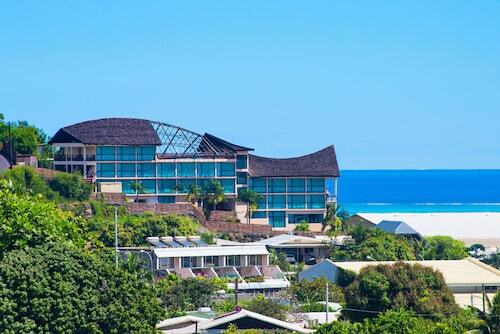 How Much is a Hotel Room in Tahiti? 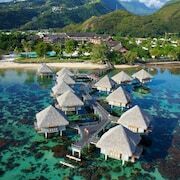 Hotels in Tahiti start at $110 per night. Prices and availability subject to change. Additional terms may apply. Pack your bags—it’s time to embark on a getaway. 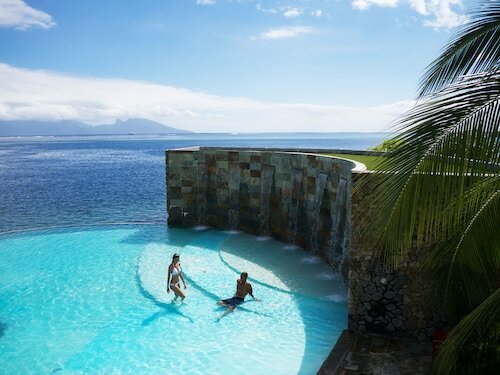 Whether you’re craving a solo retreat or promising your family a vacation to remember, book one of the best hotels in Tahiti. These hotels are located within easy access of the city’s hottest attractions and entertainment, so you won’t miss a beat while you’re in town. Spend the days exploring the local landmarks and the evenings getting to know the nightlife. After exploring the city from top to bottom, rest up at a hotel that speaks to you. Find the perfect place that matches your trip’s vibe, from a trendy boutique to family-friendly accommodations. Allow us here at Travelocity to pair you with up Tahiti hotels that suit your vacation preferences. Discover places with convenient on-site restaurants, around-the-clock service, and pools where your kids can make a splash. Some hotels may boast fitness rooms and spa services, while others feature game rooms and Wi-Fi access. To top it all off, you’ll score cheap hotels in Tahiti that let you spend more on your activities and less on your lodging. 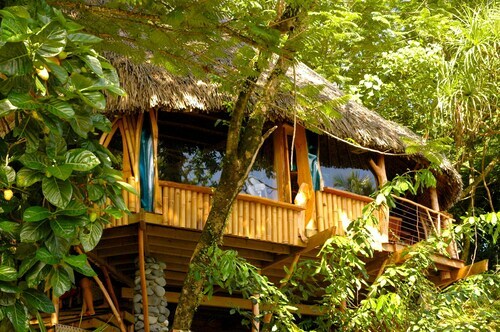 Book and bundle your flight and hotel deals together today and save up to $537. It’s time to explore a new city, and break out of your routine. 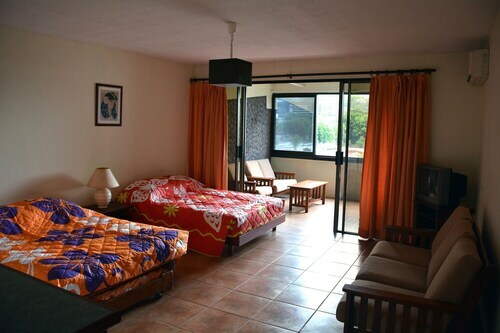 beautiful views, large rooms, very friendly and helpful staff. We loved how helpful all staff was. It was so nice to have the bellmen deliver us and our luggage to our room. We had 2 stays...1st at overwater bungalow. It was superb in every way. 2nd stay just 1 day and we had an oceanview room...again everything was superb. Beds were amazingly comfortable...I am very picky about my comfort. 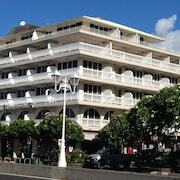 Resturants, bars, pool, checkin and check out all excellent. Good location. Great service at the reception desk. Across the street from airport, but steep hill to walk up. 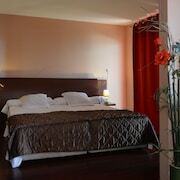 Basic hotel and room. this so-called hotel is simply an apartment that an enterprising tenant has figured out how to maximize his profits by renting it out as a hotel. When I met him on the street in front of the building , he explained that there was no one at the desk, there was no desk. The elevator was out he explained as we tromped up 3 flights to get to the apartment. This is a scam and although it was a place to stay, you would be better off staying at a real hotel. I don't enjoy writing bad reviews but I feel compelled to warn anyone inclined to stay here.